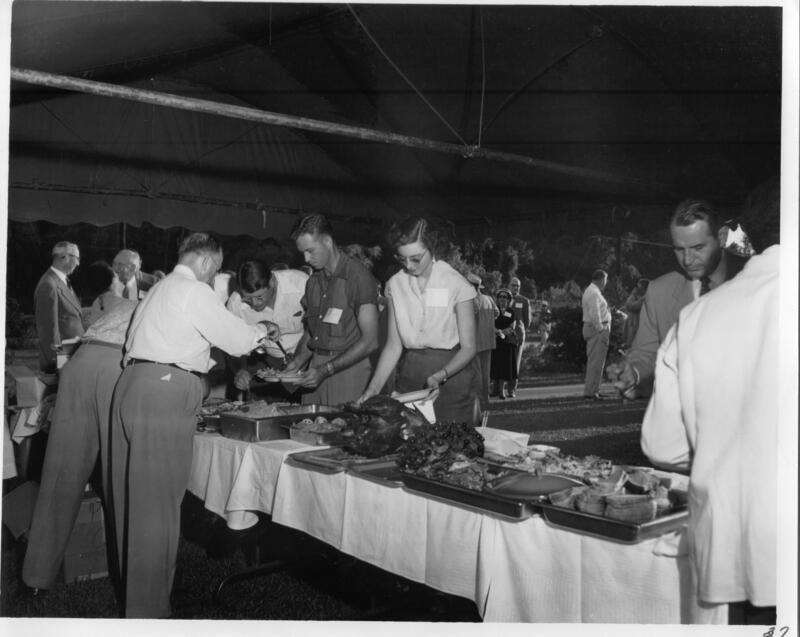 Description: Photograph of guests at the Dollinger Steel fiftieth anniversary celebration waiting in the serving line for dinner. Each person has a name tag pinned to their shirt, but none can be read. To the left are three people to aid with serving of guests from tables of food in front of them. Party guests are on the other side of the table and holding plates of which to be served on. The line awaiting service extends from the right to the left and then can be seen in the background. The area is covered by a large tent.